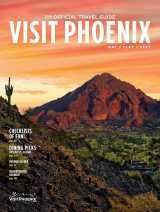 Pima massage therapist Belen Stoneman brings a talent to the spa table that no peer can match: the gift of healing. When I first enter Belen Stoneman’s treatment room at Aji Spa, it doesn’t seem all that different than others I’ve encountered. The lighting is dim, and Native American flute music wafts softly from unseen speakers. A Pendleton wool blanket, featuring a basket-weave design, is draped neatly across the massage table. Such touches are common in spas, even those that have no tribal connection. 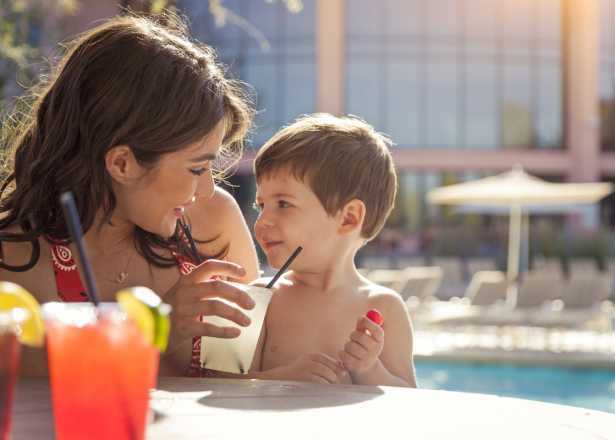 But Aji Spa, located at Sheraton Grand at Wild Horse Pass within the Gila River Indian Community, does have a tribal connection, and, for Stoneman, that connection is very personal. On one stone-colored wall hangs a medicine bag that belonged to Stoneman’s grandmother. Shegoi (creosote), which Stoneman prayed over before picking herself, sits in a dish near the lotions, scrubs and other products from the spa’s Indigenous line. A gourd painted blue-green catches my eye. Everything here seems to have a purpose and meaning. Stoneman is both a licensed massage therapist and a Native American healer who practices her gifts at the spa with the blessing of tribal elders. 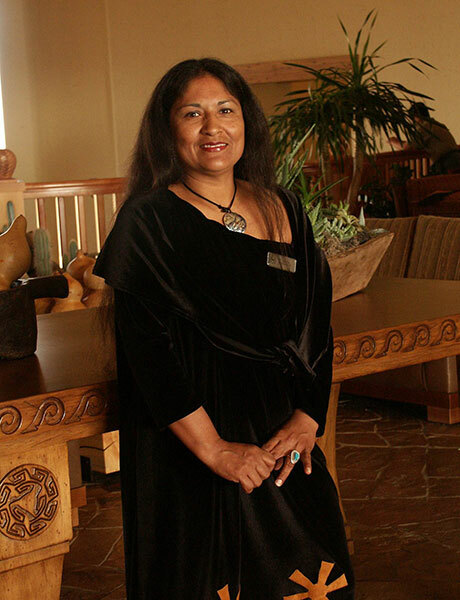 Her signature treatment is the Thoachta, or “Healing,” a combination of massage and Pima healing practices, and she is the only therapist at Aji Spa—or anywhere, for that matter—who performs it. I’ve come today for the healing, even though, as I confide to Stoneman, I don’t really have any physical ailments. That’s okay, she assures me. You can just come for the experience. “Some people just want a treatment because they’ve heard about me,” she says. But most people do come for healing, and they can tell Stoneman as much or as little about their situation during the brief consultation before the treatment. It isn’t necessary to say much of anything, though; Stoneman says she gets a sense of what someone needs based on visual clues and guidance from the spirits. Once she has someone on the treatment table, she picks up additional cues from the body. She may incorporate feathers, rattles, herbs or stones into the healing process; or she may focus on pressure points, working to open the flow of energy throughout the body. My treatment begins like most others I’ve had, with Stoneman working the knots out of my back and massaging my limbs. She spends extra time rubbing my neck, where she finds a blockage that is likely “stifling my creativity.” She tells me deep breathing exercises will help. Belen’s treatments conclude with a consultation in which she discusses with a client what she learned during their time together, and what she did during the session. Sometimes a client who comes in with pain leaves feeling better; but Stoneman says long-term improvement usually requires an honest evaluation of a person’s daily choices and lifestyle. In other words, she tells me, if you want to leave your job and you don’t, that decision will affect every aspect of your life, including your physical body. Stoneman says her healing treatment goes deeper than just addressing physical ailments; she tries to sense a person’s spiritual and emotional needs, and address those as well. My needs, Stoneman tells me, are minimal—she could sense during our session that I don’t put up with things I don’t like, and that I’m surrounded by people who love me. She is not off the mark. I sat a little straighter in my chair as I contemplated how blessed I am. Stoneman takes care to point out that spa goers don’t necessarily have to schedule a Thoachta treatment to experience healing or Native American culture. 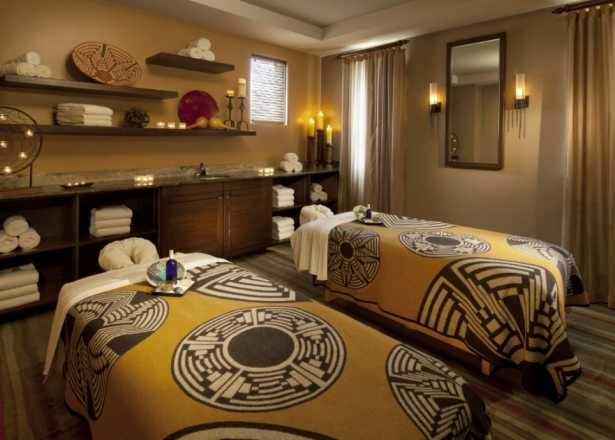 Spa treatments, in general, can be healing, she says, and all the treatments at Aji Spa incorporate cultural elements from the Gila River Indian Community, from the spa products Stoneman creates using native ingredients to the traditional stories therapists tell during treatment sessions. Since the stories, medicinal plants and healing techniques are all sacred to the Gila River Indian Community, I ask Stoneman why tribal leaders allow her to share them with people who are not part of it. These spa treatments are as unique as the landscape they’re in and use botanicals and minerals from local sources.